Judge Rocky Coss is aware of his reputation as a tough judge, and he says he is just that; but he also understands that a second chance can sometimes make more of a difference in someone’s life than a prison sentence. That’s why the judge, who presides over the general division of Highland County Common Pleas Court, is planning on creating a drug court here. Drug courts — specialized dockets that offer defendants charged with drug crimes a chance at cleaning up their record through 18 or more months of intensive reporting requirements and treatment — are growing in popularity around the state due to high success rates and a shift in the understanding of addiction. As previously reported, Coss has a reputation in drug trafficking circles as a judge who does not hesitate to hand down lengthy prison sentences. Coss argued that as a judge, he seeks to “hold people accountable,” and that means different things for different defendants. For drug traffickers who seek only to make money by exploiting addiction, Coss has little mercy. But for the person who sells drugs just to get their next “fix,” a prison sentence could do more harm than good, the judge said. It is these types of defendants that Coss sees as good candidates for a drug docket — so long as they are willing to get help, he said. Coss said he has been considering the idea for a couple years, but never moved forward due to financial restrictions and heavy caseloads. But now, with drug courts in other jurisdictions showing success — some up to 70 percent, according to one Columbus nonprofit — and grant funding more readily available, Coss said he is ready to pull the trigger. “I’m really excited about the idea,” he said. According to Coss, the drug court will partner primarily with the Highland County Probation Department to process and supervise candidates, and defendants will appear in court every two weeks over 18 to 24 months, depending on their needs. “It’s an intensive program,” Coss said. Defendants must be evaluated for entry and sign an agreement with the court, according to the judge. They are subject to immediate drug tests, and Coss said if violations occur, whether through drug use or failure to report, their punishment — normally in the form of a brief jail stay — is doled out with “immediate certainty” and without a hearing or a lawyer present. In the event of serious violations, defendants can at any time be restored to the regular docket and sent to prison if the judge deems it necessary. Coss said the court will also partner with residential treatment centers like Massie House, a men’s residential facility near Buford, and the Lynn Goff Clinic in Greenfield, which provides residential treatment for women; as well as the Highland County Drug Abuse Prevention Coalition and REACH for Tomorrow, a Greenfield-based nonprofit. According to Coss, if a key grant is awarded, the docket could gain full approval from the state by the middle of next year, but it could be up to two years before it is at full capacity. 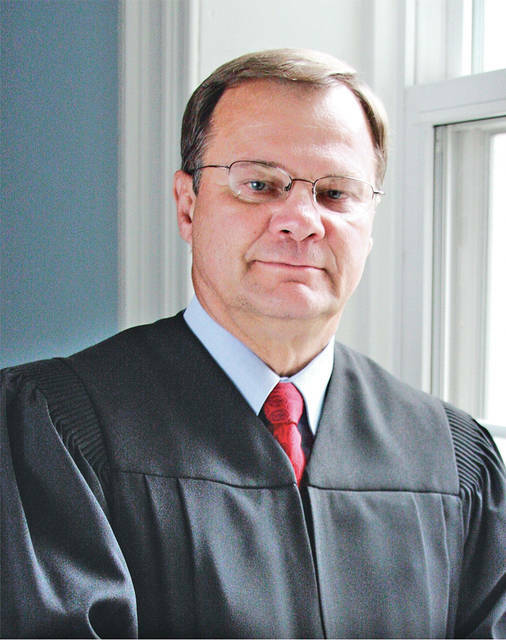 Coss said Judge Tim Rudduck’s drug court in Clinton County, which will serve as a model for Coss’ drug court, is capable of processing 40 defendants over a roughly 18-month period. Coss said grant funds will be administrated by the probation department and can be used for a variety of restorative needs within the docket, such as court costs, transportation for defendants — even work boots or tools if a defendant is employed and unable to pay for them. According to Coss, local judicial systems, law enforcement and even members of the public are beginning to realize that incarceration cannot heal addiction, and in many cases, can make it harder for people to get healthy and on the right side of the law. Coss said the “Let ‘em die or lock ‘em up” mentality is easy to espouse, but it does not solve the problem at hand. According to Coss, court-ordered treatment and supervision is what has made all the difference for many of those now in recovery.